A Salt Lake Tribune review of nearly 300 homicides, using media reports, state crime statistics, medical-examiner records and court records, shows that use of force by police is the second-most common circumstance under which Utahns kill each other, surpassed only by intimate partner violence. Wow. And all but one have been deemed "justified." "Police are trained and expected to react to deadly threats. As many deadly threats emerge is the exact amount of times police will respond," wrote Ian Adams, a West Jordan police officer and spokesman for the Utah Fraternal Order of Police. "The onus is on the person being arrested to stop trying to assault and kill police officers and the innocent public. 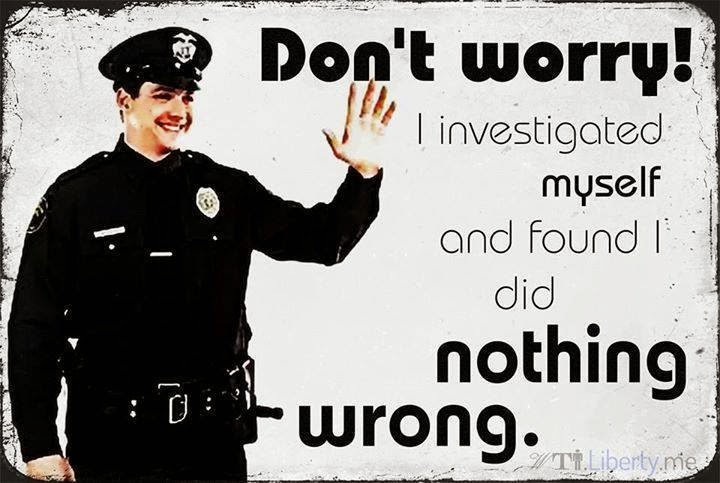 … Why do some in society continue to insist the problem lies with police officers?" "The numbers reflect that there could be an issue, and it’s going to take a deeper understanding of these shootings," said Chris Gebhardt, a former police lieutenant and sergeant who served in Washington, D.C., and in Utah, including six years on SWAT teams and several training duties. "It definitely can’t be written off as citizen groups being upset with law enforcement." Wisconsin recently passed a law requiring all shootings by police to be investigated by an agency other than the one whose officer fired the shots, a policy some police watchdog groups in Utah are exploring in reaction to a spate of shootings by Utah officers — eight since the August shooting of Michael Brown in Ferguson, Mo., brought the national conversation on police use of force to a fever pitch. That is one idea that all states should be actively considering. Read more from the thought-provoking piece in The Salt Lake Tribune here.